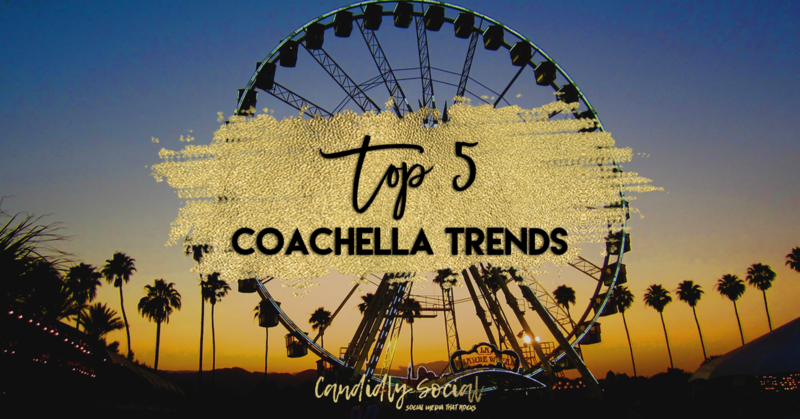 Another year is down in the books for Coachella, and besides the main attraction (Beychella), fashion is one of the biggest aspects of the entire weekend. From the hair, make-up, and clothes there’s so many trends to love! With so many amazing trends this year, it was hard to narrow it down to just 5! Check out our top picks below. Crochet has made it’s way back this year and we couldn’t be happier! From crochet sets to pairing it with a denim jacket, Alessandra Ambrosio knocked the trend out of the park! If you’ve been to Coachella you know it’s sizzling hot and you need breathable fabrics and preferably the less clothes the better. That’s why bralettes are the perfect piece for your Coachella outfit! Whether you’re wearing a metallic, basic, or lace one Nicole killed the game with this chic bralette/crop top! This year was all about the glitz when it came to beauty. From hair and face glitter to face and body jewels everyone was shining bright at Coachella and we couldn’t get enough! Danielle knocked it out of the park with her Tarte face jewels! As we mentioned before it’s sizzling hot each year at Coachella so shorts are the go-to for comfort and durability! Whether you’re wearing distressed denim, fancy silk shorts, or a basic pair it’s the perfect staple item that you can dress up and down in your ideal Coachella outfit. Whether it was cotton candy pink or highlighter pink like Kylie, it was out in full force at Coachella this year! It’s always fun to switch up your hair color for a weekend and now it’s even easier than heading to a salon and pay a ton! Now you can head to Sephora or your favorite beauty supplier and pick up your favorite colors that was right out! With so many amazing trends this season, which one are your faves?